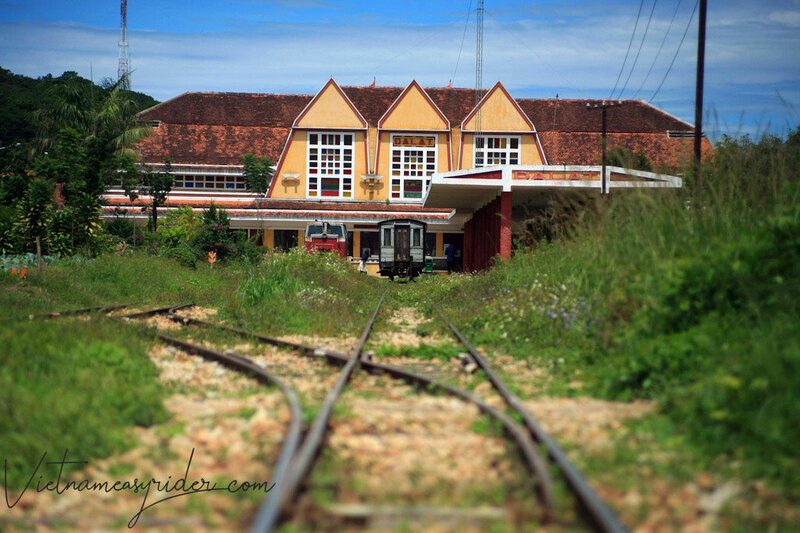 Da Lat railway station (Vietnamese: Ga Đà Lạt) is a railway station on the Da Lat–Thap Cham Railway line in Vietnam. Unlike other train stations, Dalat Railway Station has its own unique features that no Railway station has. Let's find out why Vietnam Easy Riders Group choose it as one of the attractions in Da Lat and cover it in our Easy Rider Tours. Simply, it is located in Da Lat where is a popular tourist city in the Central Highlands Vietnam and located at an altitude of 1500 m on the Langbian plateau. #2. 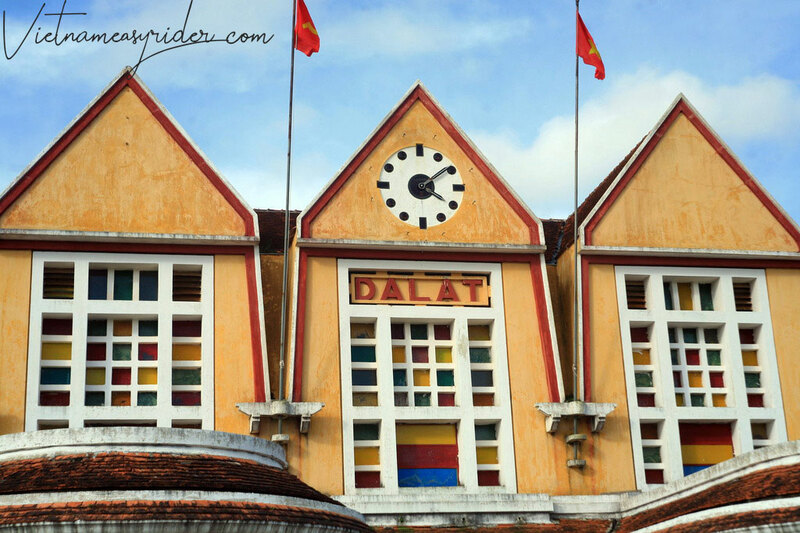 Dalat Railway station is the oldest one in Vietnam (along with Hai Phong railway station in the Northern Vietnam) and it takes the most time to complete. Cham Tower - the Krong Pha (Song Pha) road, 41 km long, completed in 1919. 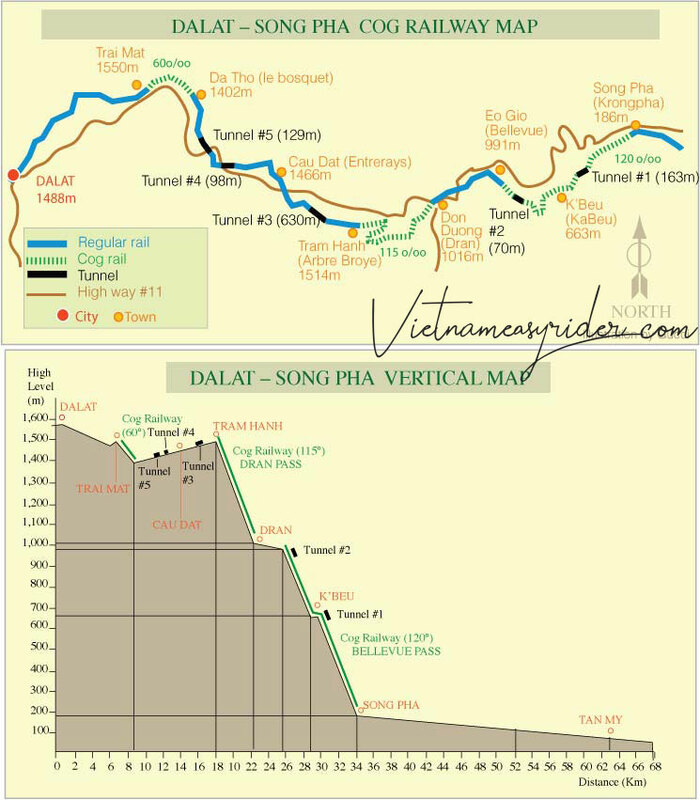 The Song Pha - Da Lat stretch of 34 km, was constructed in 13 years. The construction of the railway section is very toilsome because of the craggy and steep mountainous forest. The railway tracks finally reached Da Lat in 1932, 24 years after construction had begun. Da Lat Railway station is considered to be the most beautiful ancient and unique railway station in Vietnam, with architectural style mixed between Trouville station (Deauville, Normandie, northern France) and the shape of the mountain Lang Biang (the highest mountain in this region); The roof is simulated like a Rong house - traditional house of ethnic miniority people. 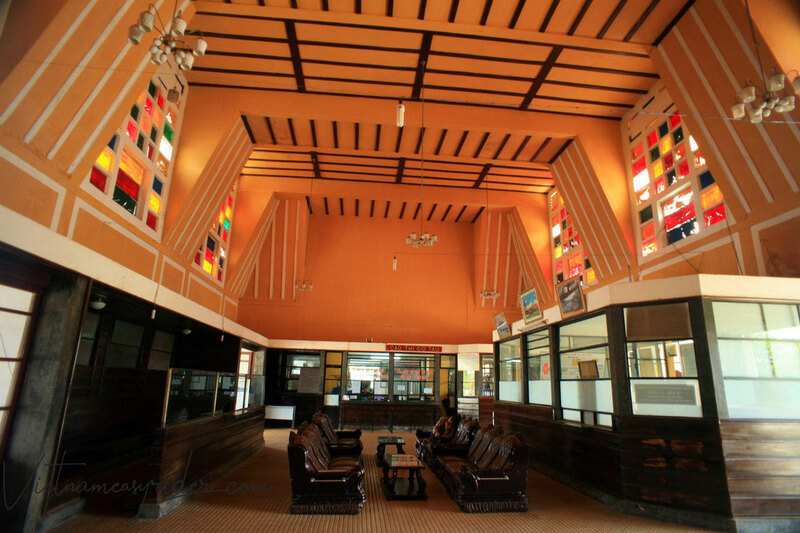 Da Lat railway station was designed in the Néo-Normand architectural style by French architects Moncet and Reveron. 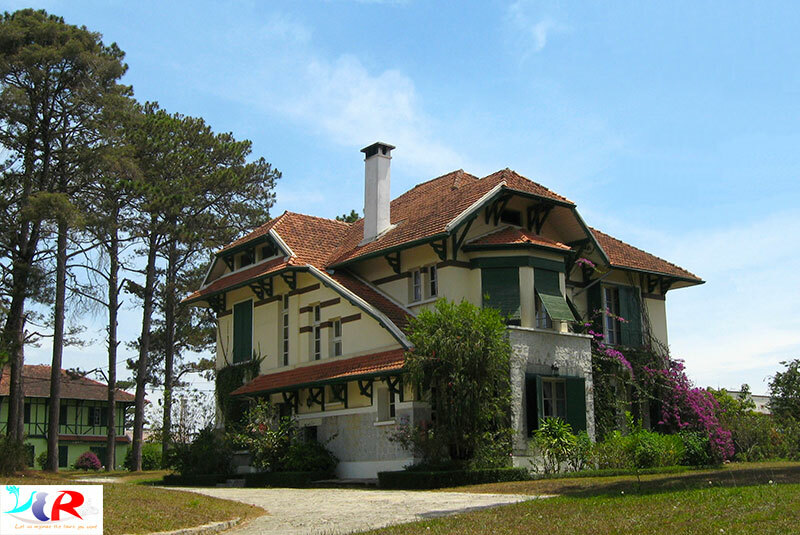 The three roofs, said to represent the three peaks of Dalat's iconic Lang Biang mountain, are also reminiscent of Normandy's Trouville-Deauville Station. The roofs characteristic of the Cao Nguyen communal buildings of ethnic minorities from Vietnam's Central Highlands. Under each roof is a multicoloured glass window, and under the central roof is a large clock, which has recently been restored. 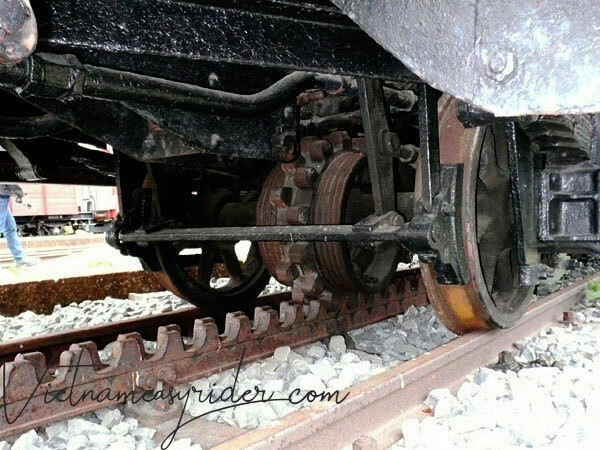 ==> Built in the 1920s, the 84 km Da Lat-Phan Rang railway was the only one in Vietnam and second in the world that had a cogwheel line. The whole line has 16 km of serrated rail, divided into 3 segments, arranged in steep places from 12 degrees. These sections are designed to add serrated rails between two main tracks 1 m wide; At the same time, locomotives must be fitted with gears to attach to the serrated tracks. The gears are designed to rotate only one way, so that if the engine is dead, the ship is not slipping. The whole route had 5 tunnels crossing the mountain, the longest tunnel over 600 m and many railway bridges. Throughout the Vietnam War, the Da Lat–Thap Cham line—as with the entire Vietnamese railway network—was a target of bombardments and sabotage. Following the Fall of Saigon in April 1975, the railway was dismantled to provide materials for the repair of the main line. In the 1990s, however, a 7 km section of the line between Da Lat railway station and the nearby village of Trại Mát was restored and returned to active use as a tourist attraction. In Trai Mat, you will have a chance to visit one of the most attractions in Dalat that is Linh Phuoc pagoda (also named Pagoda of bottle). Especially with classic steam locomotive hauling the passenger cars along the narrow edges of the pine-forest mountain. When the train climbs the "Bellevue" pass (the French word means "beautiful-seen"), travelers can marvel at one side that is the slop green mountain; the other, the open space stretching to the Pacific ocean line. The scenery then would magnificently change along the terrain until the train enters the misty, salubrious Lang Bian plateau, where one would start smelling the fragrance of pine forest blended with the wood-burned scent which kept billowing back from the locomotive's smokestack. What a unique, unforgettable natural scent! • Entrance fees is VND 5,000 / person. Note: One way tickets apply for groups of 10 people or more. There is a great price for the delegation and you should call in advance. To visit the Da Lat Railway station you can register a Vietnam Easy Riders Tours. 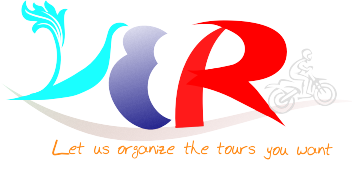 We organize it in the Dalat city tour or in the long day trip.